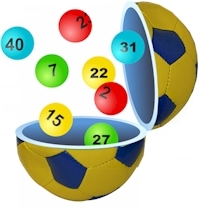 The Linnets' Lotto is your chance to try your luck whilst at the same time supporting the Trust. Monies generated by this lottery will enhance the Trust's financial standing, and strengthen its efforts to achieve its long term aims. This lottery is open to everyone, not just to Trust members, and will be drawn monthly. Tickets can be purchased at £2.00 each. There is no limit to the number of tickets that can be purchased by any one individual. A full list of rules is can be found here. The preferred method of payment is by standing order, this will make the lottery easier to manage and will reduce administrative costs. A standing order mandate form can be found here. However, payment can also be made in cash or by cheque, but we would ask that such payments are made 6 months in advance. Please consider supporting the Trust by participating in this draw, and hopefully you may be one of our lucky winners. Should you choose to participate, please forward your completed standing order mandate form/contact details form to the Lottery promoter whose contact details are on the form. If you choose to pay by cheque or cash, we would still ask you to complete the contact details form. There will be monthly prizes of £100 as 1st prize, £50 as 2nd prize and £25 as 3rd prize. Past results may be found here.